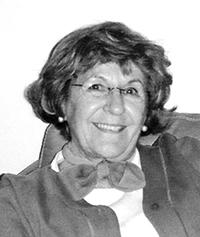 Linda Klein Means has spent her life writing and teaching. She was a reporter and editor for her college newspaper, then a feature writer for The Wilmington (Del) Morning News and Evening Journal, followed by similar posts at The Chicago Tribune and US News and World Report magazine. She has taught ESL in college and privately, and free-lanced. She lives near Boston with her husband, close to her daughter and three beautiful granddaughters. 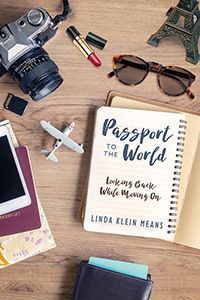 From the Midwest to Paris…Former Chicago Tribune reporter Linda Klein Means was born on a farm in Illinois and raised with strong values amidst family tragedies. 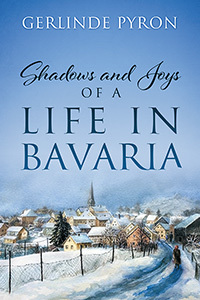 Follow her travels through the world of newspapers, after which she spent years in Venezuela, Brazil and France, each offering amazing insights into other cultures while providing fertile breeding grounds for hilarious adventures and misadventures. Learn how the power of a grandmother’s love shined before her like a guiding star. Although she approached the abyss more than once, that guiding light made sure she never fell over the edge. Think with her about the issues surrounding Down Syndrome, a condition affecting her beloved brother John. Think with her about issues of racial “purity” while she and members of her Norwegian-American family look more closely into their heritage. Think with her about “unconscious” prejudice,” the ways in which we sometimes hurt others without meaning to, without even knowing we did. Only a dose of “Amazing Grace” will save us from that. Enter a very special church in Paris with her, and think about the ways in which it symbolizes the long, complex, and rewarding relationship between the United States and France. Enter a women’s prison with her, and become close to the unfortunates trapped within. Get to know them on a one-to-one basis. You will empathize and sympathize with them. Richard Rosenblatt spent his youth in art, music, and photography schools, and made countless trips on the greatest steamships of the 1930s. 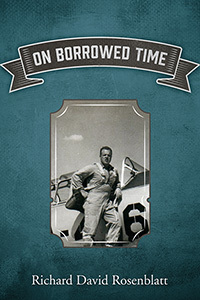 A West Point graduate of 1949, Rosenblatt became a pilot in Europe; an OSI counter-intelligence analyst and linguist in Wiesbaden and in Paris; a onetime parachute instructor with the Foreign Legion in Algeria; and aide to the head of the Strategic Air Command Depot in Casablanca, Morocco. 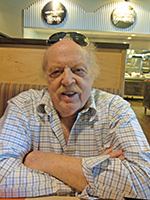 His career then moved to include industrial engineering, advertising, media, underwriting, the law, and publishing, and he co-authored the novel Black Gold Gray. Rosenblatt won five gold medals in the Senior Olympics in San Diego, and now, past the age of 90, he lives in La Jolla, California. Dr. Patricia (Pat) Floyd received her PhD from Florida State University. Retired after 45 years of teaching at all levels in public education, and as university professor of undergraduate and graduate students, she is the co-author of twelve college textbooks. Pat was born and reared in her beloved Luverne, Alabama, where she developed a deep love for her people. She is an avid international traveler, a Belted Galloway cattle rancher, a volunteer, actress, community activist, and the founder of “Voices of Luverne” and “Voices of Crenshaw County.” She loves working with people, helping students, and making a difference in the world. “The Big Red Clock” is the story of a big red clock on a tall red post that sits right in the center of Luverne, Alabama-known as the Friendliest City in the South! The Big Red Clock was proud to be the focal point of Friendly City. Everyone greeted him as they passed by and they were grateful to know the time of day. The Big Red Clock was a very happy clock…until one day when storms damaged his working parts. He ended up in a dusty, dark warehouse for many months before the city leaders sent him to be repaired at the Tick-Tock Bells and Clock Factory Hospital in Cincinnati. There, the Big Red Clock was reunited with his clock family…but he missed his friends in Friendly City. It took a long time for the Big Red Clock to recover, but finally he was rushed back to Friendly City. All the happy people gathered around as he was placed on his Big Red Post to tell all the Friendly people when it was time to go to work or school, when it was time to go to lunch, and when it was time to go home and have dinner with their families. Today, the cheerful, mighty sound of the Big Red Clock can be heard throughout the Friendliest City in the South. Tick-Tock, Tick-Tock, Boing, Ding-dong, Clang! 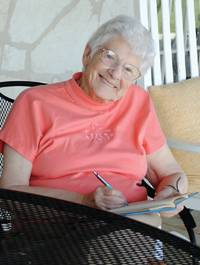 Kay Peterson’s articles, books, and seminars have encouraged countless dreamers of the wanderer’s lifestyle to take the plunge. Joe and Kay were named among the 100 people who most influenced the RV industry during its first century, and Kay has published eight non-fiction books, including the first book ever published on full-time RV living. 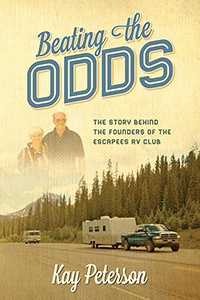 The Escapees RV Club was founded by Joe and Kay Peterson in 1978. Originally there was no detailed plan-the Petersons were simply two working travelers who wanted to make the RV lifestyle the best it could be for themselves and for fellow travelers. They had no idea that over 100,000 Escapees members would eventually join the club! With a magazine, an RV park system, a licensed adult day care center, and the largest mail service under one roof, the Escapees RV Club is now one of the largest in the industry. It provides a total support network for all RVers. The Petersons have inspired countless others to follow their dreams and discover the joy of this traveling lifestyle. Along their journey, Joe and Kay learned lessons in resilience, compassion, and an understanding that it is people-not places-that are important. In Beating the Odds, Kay Peterson shares the memories of their mistakes, disappointments, and heartaches. She shares her family’s history and how it all led to finding Joe, her soul mate, and the lifestyle that gave them so much happiness. Bernard E. Bentley owns a telecommunications/energy business in Seattle Washington. 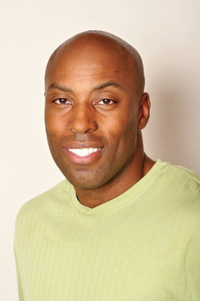 Formerly involved in acting and modeling, the author also writes and produces local plays. He has over 30 years experience in martial arts. Loving language study, Bernard speaks Tagalog and Haitian Kreyol. He also studies Vietnamese. The author is an ordained Elder and ministers in the State of Washington with his wife, Natacha Bentley. 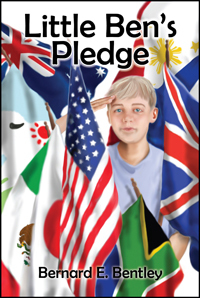 In this book “Little Ben’s Pledge” Little Ben makes a pledge of allegiance to the people of Africa, America, Australia, England, Japan, Mexico, Native America, and the Philippines. These stories are full of fun and exciting observations about the people and countries that Ben loves. Take a trip around the world, meet the people, view the landscape, taste the delicious food, and experience their entertainment. Written in rollicking rhyme, this is sure to be your favorite reading choice at bedtime. “Outskirts Press, you have let the cat out of the bag. You have revealed the plot. You have blabbed the end of the movie. There’s nothing mysterious about getting a book published and you have given away the secret. At writing conferences and workshops I’ve attended, the main topic of discussion isn’t about how to write better. Everything revolves around how to get books published. When agents lectured, I always heard how difficult it was to even get them to read your book, much less represent you. Editors always made it clear that the odds were stacked against an unknown writer but ‘you should not get discouraged – keep writing.’ Publishers passed out impressive numbers on books sold and author perks they provided, but the list of authors receiving these benefits contained well-known names that sell a lot of books. Mystifying and perplexing stuff. So, all the time I was writing, I spent a lot of time wondering what I was going to do with the final product. I talked to a lot to author friends, many who used POD publishers, none of whom were totally satisfied with the service they’d received. I think a miracle led me to Outskirts Press where I finally cast my lot and what a wonderful decision it turned out to be. The mystery was solved. My author rep was a wonderful guide who patiently led me through the maze. The cover designer designed a custom cover that I think captured the spirit of my book beautifully. The book designer took the cover design and ran with it when developing the interior format. As a result, Tin Lizard Tales: Reflections from a Train is a magnificent book, if I do say so myself. A train trip provides the opportunity to blow off steam. The author, while on a train trip through the United States and Canada, describes and comments on the people and places he sees. His reflections–sometimes critical, sometimes comical–are eye opening and wide in scope. The reader will enjoy Wallace’s swats at thoughtless people, cringe at his depictions of animal cruelty, and laugh out loud at the personal predicaments he and his wife confront. Environmental stupidity, life in big cities, foolishness disguised as zealotry, terrorism, and political hacks are just a few of the topics he kicks around using the insight and common sense one might expect from an opinionated old man who’s been around. Surprisingly, he also conveys warmth and unblushing tenderness–a threat to his crusty reputation. Born and raised in California, Schuyler T. Wallace is a retired fire chief who wants to be a journalist when he gets older. He’s in his seventies, although declining to say at which end, and a heavy reader and coffee drinker. He thinks he knows a lot about everything and in his first book, TIN LIZARD TALES: REFLECTIONS FROM A TRAIN, he attempts to convince all the doubters.